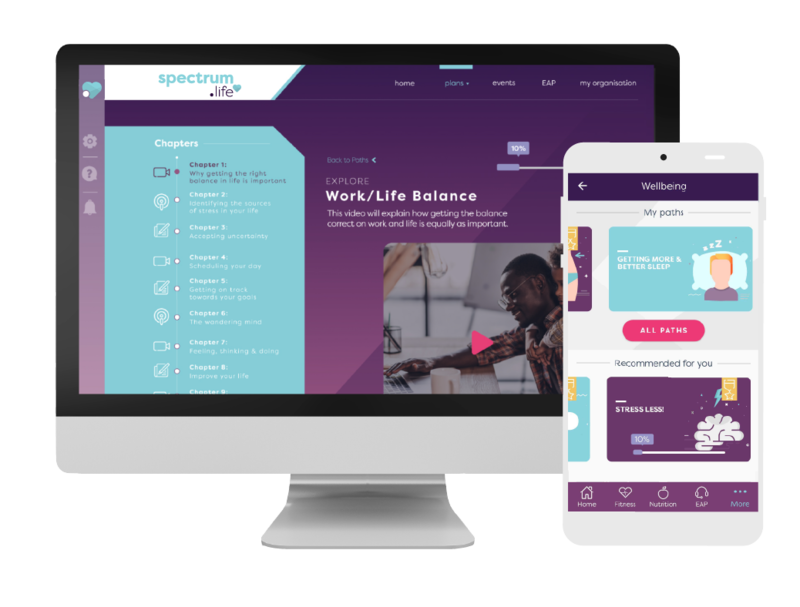 Spectrum.Life combines everything you need for a workplace wellbeing programme that works. 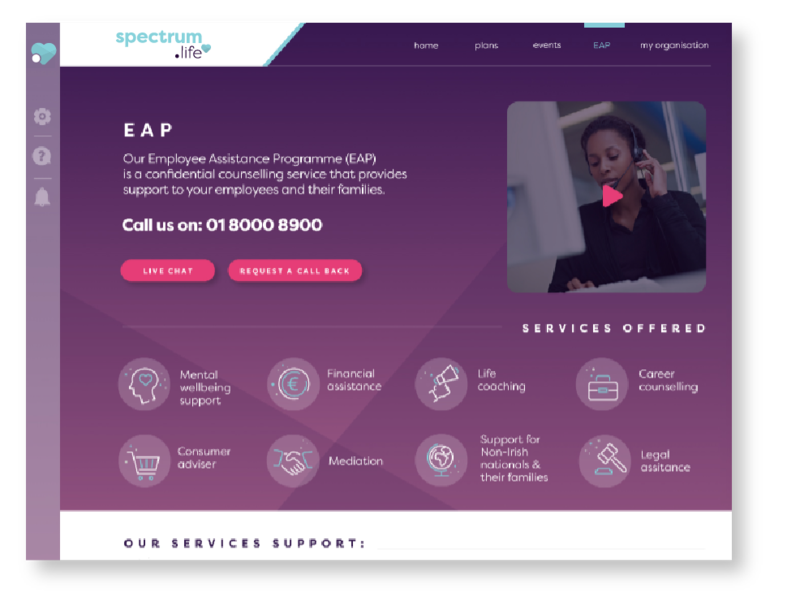 Spectrum.Life is the only Workplace Wellbeing provider that gives you digital and onsite wellbeing and EAP, all through one connected solution. Branded site & mobile apps. 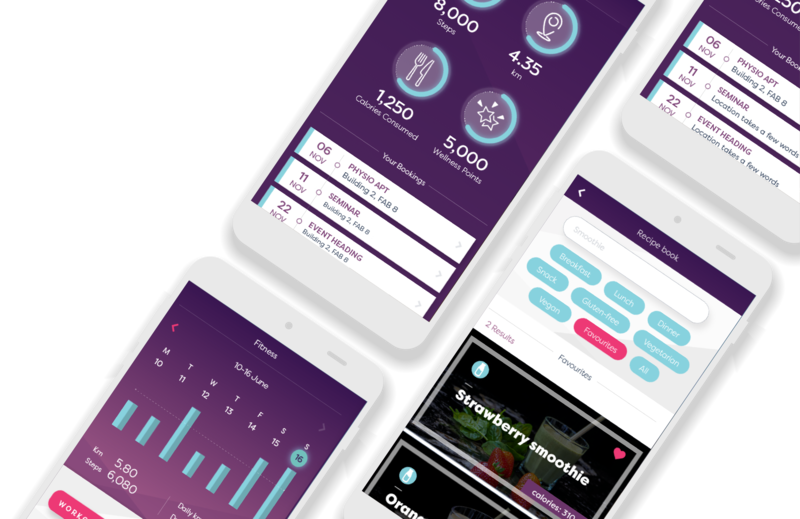 Get your wellness platform set up in minutes across web, iOS and Android. Choose your colour skin, upload your logo and invite your employees. 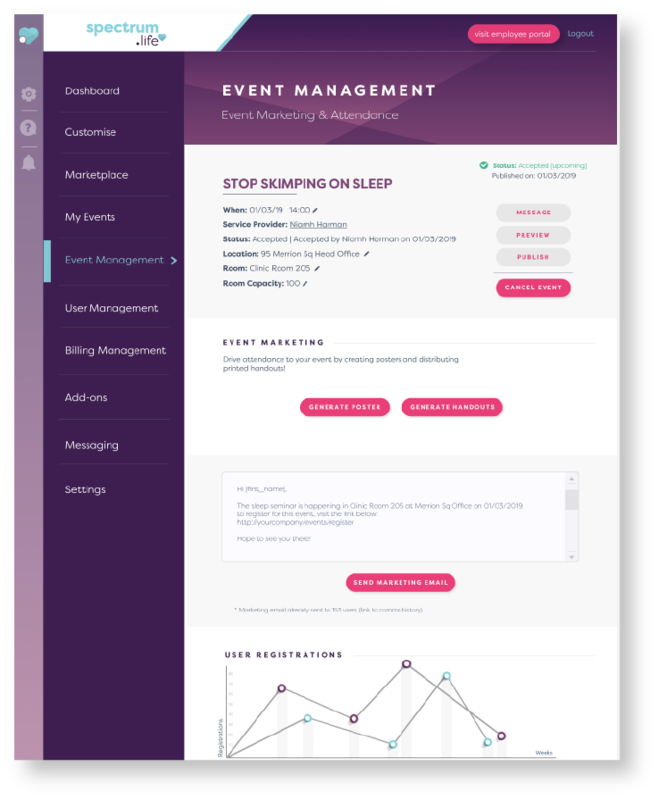 Fully integrated wellness event marketplace in which you can search 100's of local experts with marketing, booking, analytics and payment capabilities. Close to 1,000 recipe videos, fitness programmes, and learning programmes which include mental health, sleep, parenting and behavioural change. 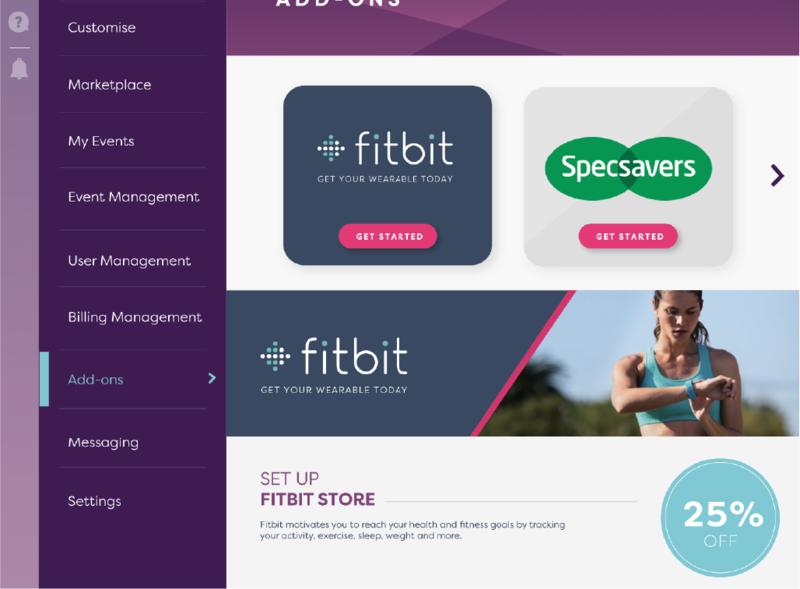 Deploy a discounted and subsidised Fitbit Store direct to employees, and fulfill your Health and Safety obligations through Eye Test & Glasses vouchers generated through Specsavers. A customised portal for your employees. 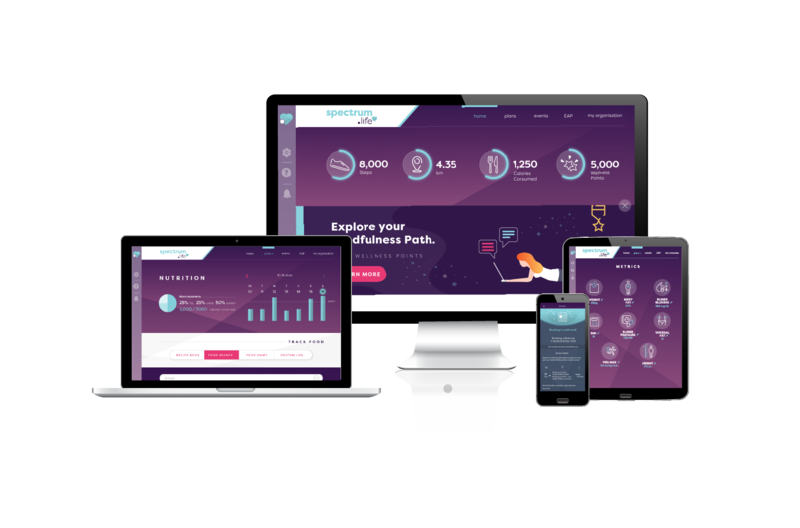 Employees can access an employer branded wellbeing platform and app. Deliver a personalised experience for employees in a way that truly reflect's your company's investment in their health and wellness. 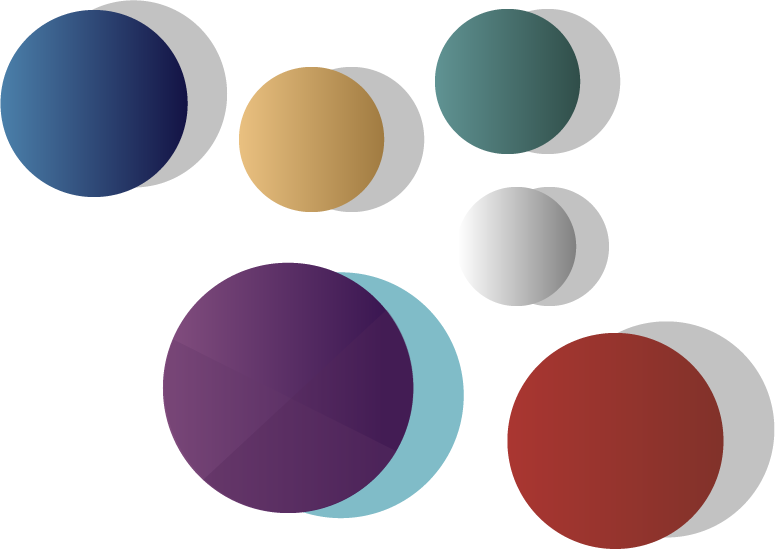 Choose a colour scheme and logo based on your company's brand guidelines. 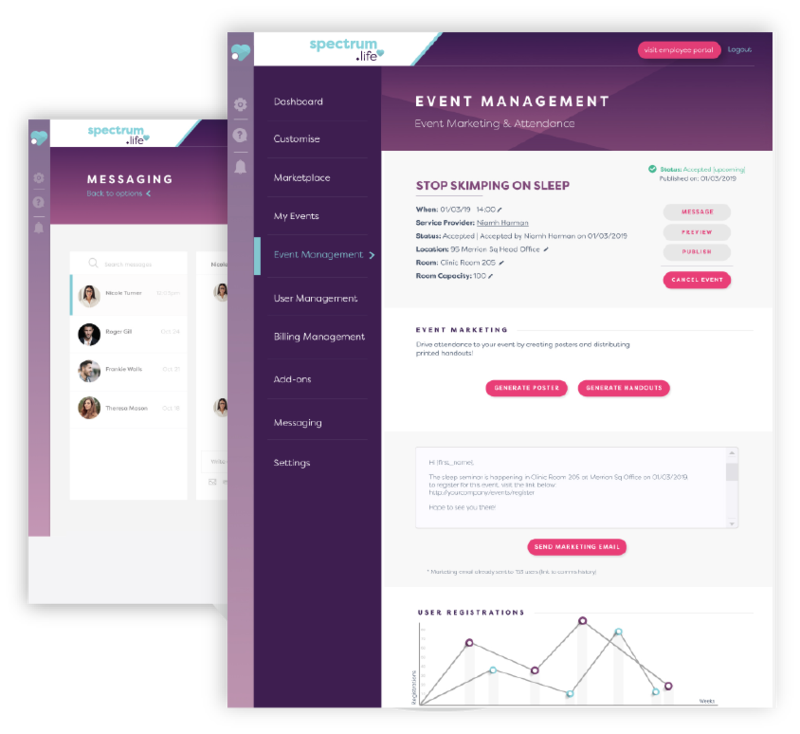 Add pages to your dashboard to keep employees informed of all the great events and clubs. An employees' wellbeing journey doesn't have to end at work. They can access the Spectrum.Life portal wherever they are thanks to our web and mobile apps. 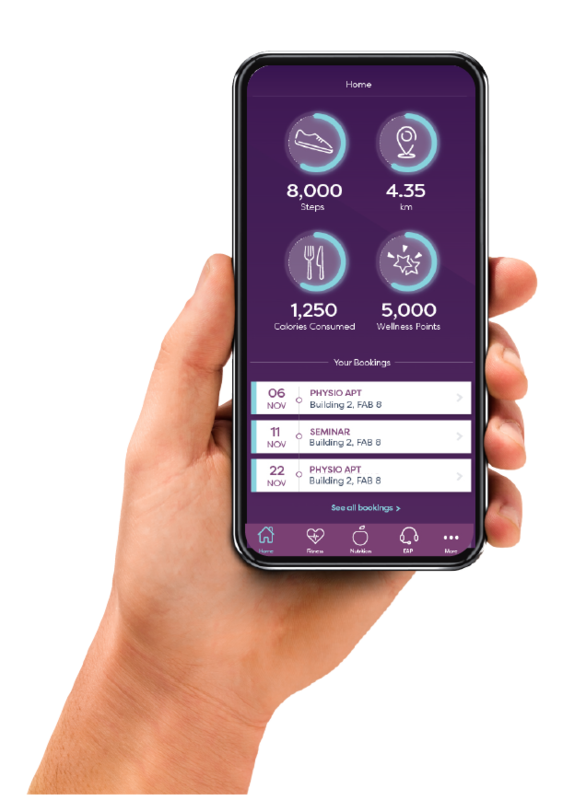 Employees can track and manage their own wellbeing goals manually or by integrating their app with wearable tech. So that your employees can see the positive impact of your wellbeing programme at a glance. Once signed up, a dedicated wellbeing success manager will support you in deploying the platform, help you choose a best fit programme and assist in data analysis for future planning. Employees can access more than 200 hours of wellbeing content created and curated by leading industry experts. From fitness videos to nutrition plans and recipes. Video recipes & search 50,000 food items. Employees can easily educate themselves on healthy eating and nutrition applicable to their personal goals through a catalogue of articles and video content. Fitness tracking & exercise videos. 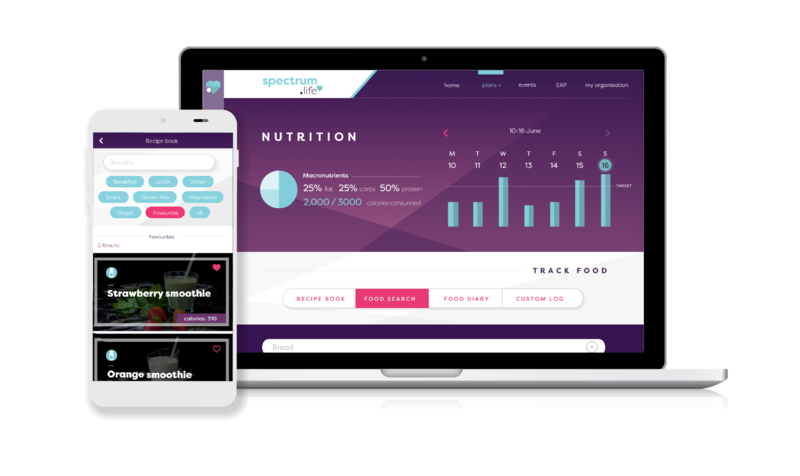 Spectrum.Life makes fitness more enjoyable for employers through our fitness programmes, each containing beautifully visualised workout videos. Mental health & lifestyle eLearning. Wellbeing doesn't stop with fitness and nutrition. Employees can access hours of content, created by experts, that will educate them on various other aspects of their health and wellbeing, from mental health to parenting. 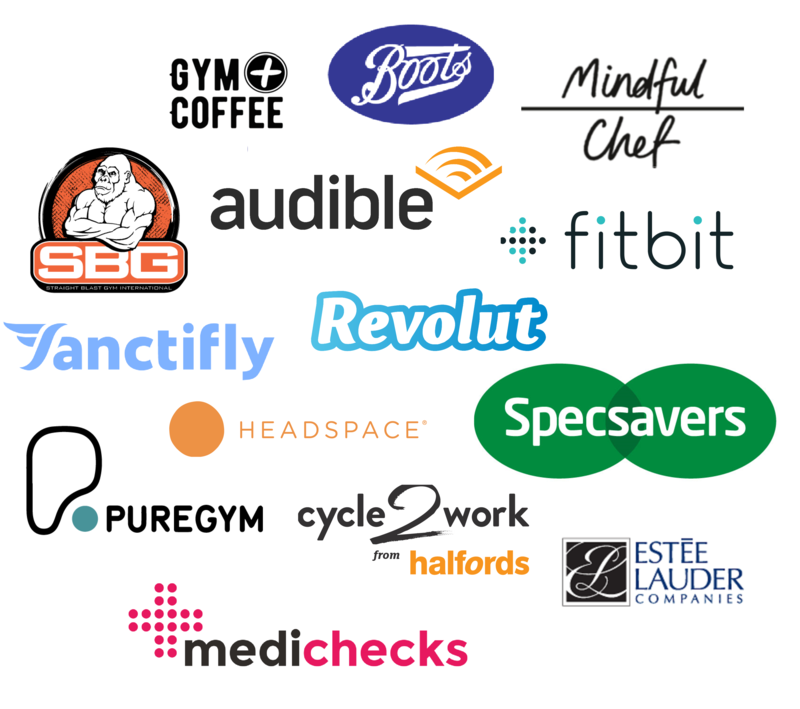 We work with some of the best known brands in health and wellness to incentivise your employees to get the most out of their wellness journey. Motivating your employees to take part in your wellbeing programme has never been so easy! Encourage employees to get the most out of their wellbeing programme with exciting rewards from well known brands which they can claim with points earned. 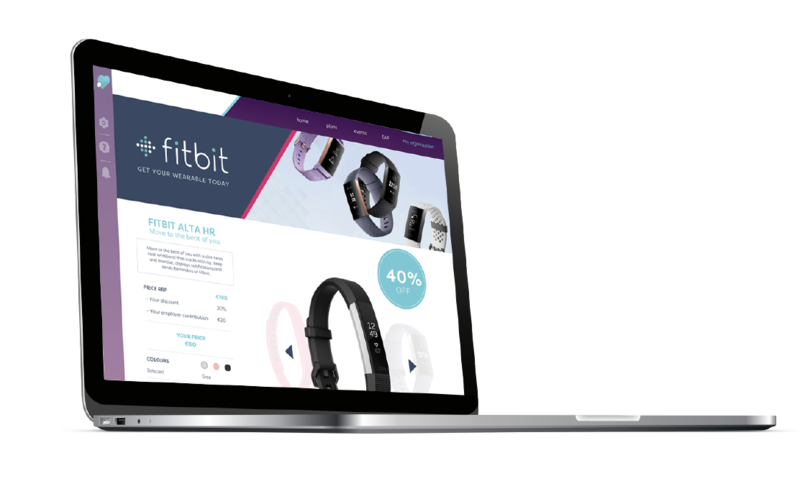 We've partnered with Fitbit so that your employees can purchase the best in wearables on our platform. You can also contribute a percentage of the cost to incentivise employees. 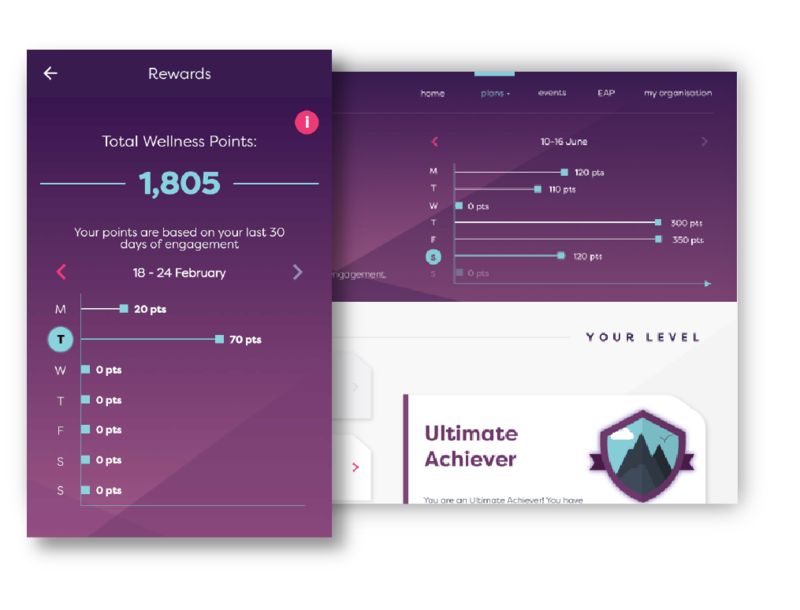 Give your employees access to healthy and relevant rewards that they can earn based on activity and engagement. 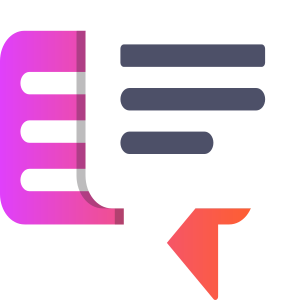 Give your employee access to confidential mental health support 24/7, 365 days a year through a dedicated web or mobile app; a freephone number and live chat. They will be assigned a Case Manager and can avail of five face-to-face sessions with a qualified Psychotherapist or Counsellor close to their work or home. 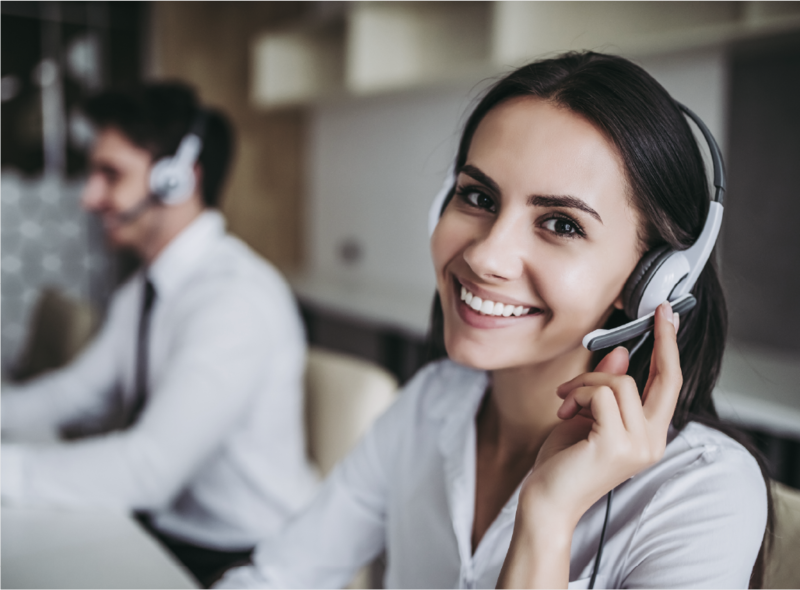 Your employees will never feel like support is out of reach with access to a qualified mental health professional 24/7 via phone, video or live chat. 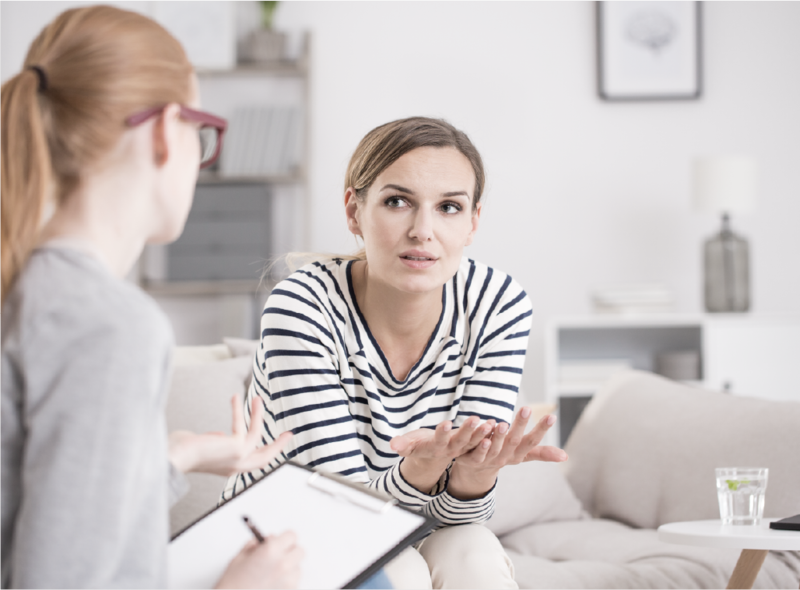 If necessary, an employee can avail of five face-to-face counselling sessions with a qualified and experienced psychotherapist or counsellor in their locality. Stay on top of company performance against your key wellbeing metrics, and compare with industry averages. 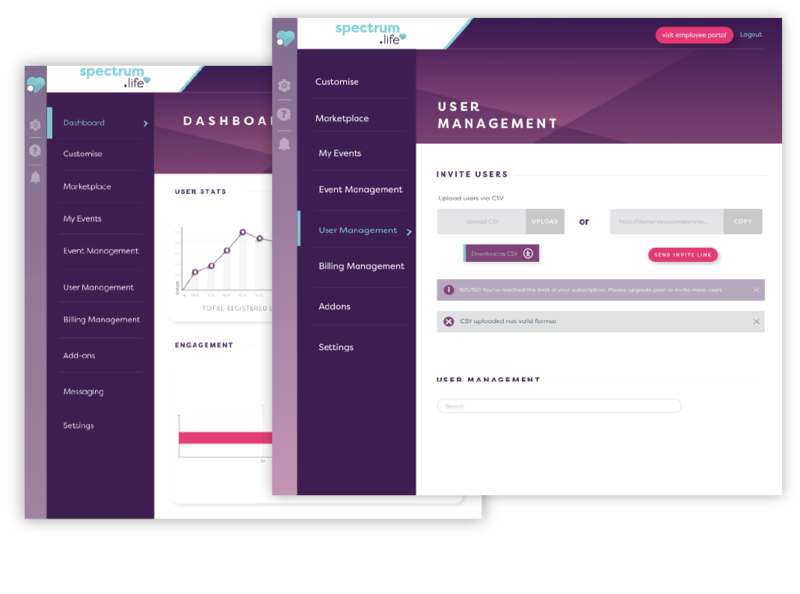 Retrieve aggregated, anonymised data across platform registrations and visits in real time, any time. 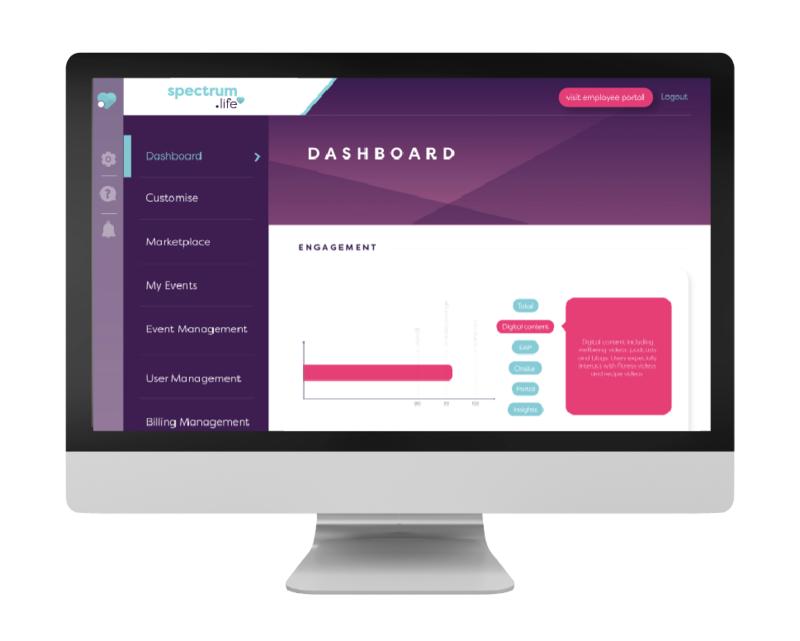 Get a real-time snapshot of employees engagement by viewing registration and usage statistics as they happen. Giving you the basis to continually improve communication and management around wellbeing. We use the anonymised data we collect on employees to make wellness event recommendations that maximise your ROI.